‘We’re talking about who owns the music, to put it crudely. Then that person can do whatever they want with it. They want to stream it, they want to give it to the world if that’s what they want. There are people that do want to do that and I respect that. “I want my music to belong to the world and I’m going to give it away.” That’s great. Maybe they have parents that take care of them. I don’t know where they get their money from. Maybe they rob banks or maybe they just work as janitors or taxi cab drivers and they just want to share their work with the world. Then it’s something that we can honor. ‘My personal position was that I had wonderful parents. Really wonderful people. But my mother was a school teacher. My father had a small record shop in Baltimore. They had no money to support my career. I began working early. You’re too young to know this, but when you get your first Social Security check, you get a list of every place you’ve worked since you began working. It’s fantastic! I discovered that I was working from the time I was 15 and putting money into the Social Security system from that age onward. I thought it was much later. No, I was actually paying money that early. ‘The point is that I spent most of my life supporting myself. And I own the music. I never gave it away. I am the publisher of everything I’ve written except for a handful of film scores that the big studios paid. I said, “Yeah, you can own it. You can have it, but you have to pay for it.” They did pay for it. They were not gifts…. Is there any data available that shows the income that contemporary classical composers earn from recordings? I doubt there are even ten in the USA who make a significant amount. And if we then looked at the composers who do make significant amounts from recordings (if any,) would we see that the market shapes a troubling aesthetic bias? Without such context, the topic is so vague that no one is sure what we are actually talking about other than an abstract ideal about earning money from recordings that for all practical purposes barely exists in the actual market. We should also note that classical composers “give away” their recordings exactly because they have no commercial value, even if they might have genuine artistic merit. The arguments Glass makes are only applicable to a very small segment of the community that writes more commercially oriented music. And unfortunately, we see just about everywhere that the market is a poor arbiter of good taste — even if that observation goes against the political ethos of the USA’s brutally unmitigated capitalism. Thank you for the interesting documents. At a quick glance, I didn’t see anything about income for recordings. On the other hand, one of the reasons composers make their work accessible on the web for free, or for negligible royalties, is because it can lead to lucrative commissions and residencies. The internet has made kleptomaniacs out of seemingly everyone. At issue here is not just the kleptocracy of the world wide web (a valid point,) but that with rare exception classical music recordings do not make significant amounts of money, if any at all. They do, however, have significant value as promotional materials, especially when easily accessible via the web. From this perspective, YouTube, Vimeo, and others, provide an important service to classical musicians, the vast majority of whom will never be positioned in the marketplace. When discussing the business practices of these platforms, our evaluations should therefore be differentiated. Otherwise, as is already the case in Germany, we could see the suppression of this form of distribution and a consequent loss in the exchange of ideas and knowledge. Yeah, well, that’s just like, your opinion, man. Others too, so it seems. I work in a record store where vastly more used Philip Glass cd’s come into the store, than go home with somebody. Britney Spears sells more than Mozart. Then she must be much better, right? Oh, and btw, someone bougth these cd’s in the first place, right? 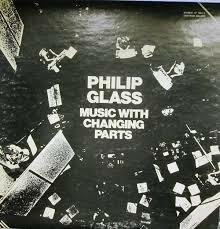 Curious decision to republish this two-year-old interview with Mr Glass, which is enlightening only with respect to how ignorant Glass seems to be of all the people and organisations around the world who work to identify, collect, and distribute to him the royalties earned by the sale and public performance of his recordings as well as the licensing income attributable to the recording and public performance of his compositions. He only needs to look at the earnings reports that arrive with his cheques. One hopes that in the intervening two years, Glass has heard at least from the Music Publishers Association, the BIEM, ASCAP or BMI (whichever he is registered with), the (US) National Music Publishers Association, and the various recording industry trade associations who compile and publish the relevant figures relating to composer and publisher distributions of music royalties. (eg, IFPI, BPI, PPL, GEMA, etc.). In addition, he could read the newspapers where he would see reports only last week of President Trump signing into law the Music Modernization Act which settles, at least for the US, many of the previously vexed issues of royalty calculation and distribution for composers and recording artists that Glass speaks of.